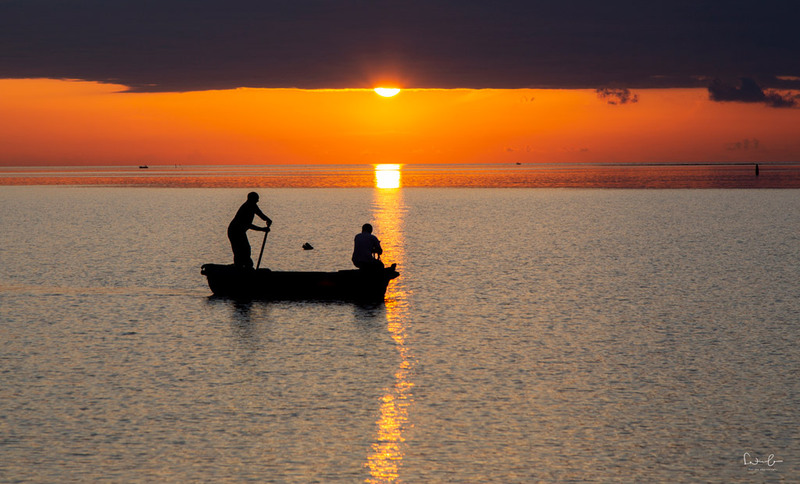 A great way to recharge your batteries is to travel. Immersing yourself into a different culture, a beautiful landscape and great food let you forget your stressful everyday life at home. 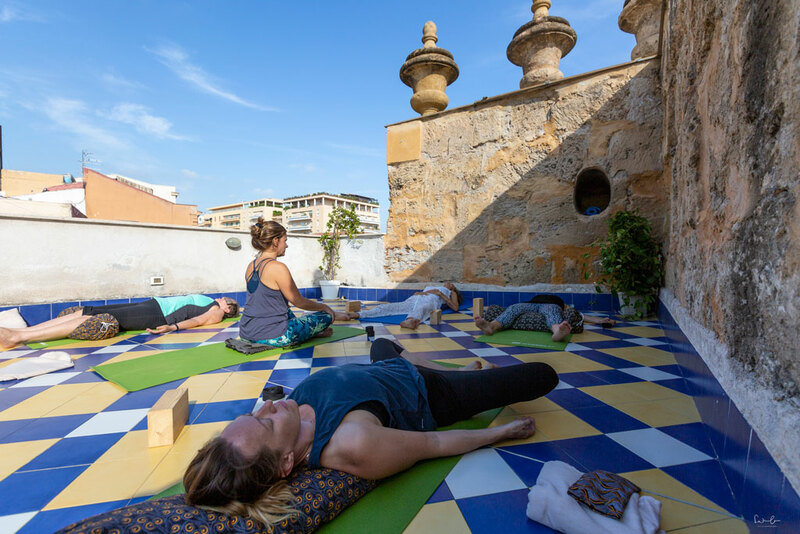 A truly luxurious way to boost your energy, rejuvenate your body and explore a country without organizing anything yourself, is to go on one of Lisa Dunn’s yoga retreats. Spoil yourself and find out how to combine yoga with wine during an all-inclusive well-being holiday. 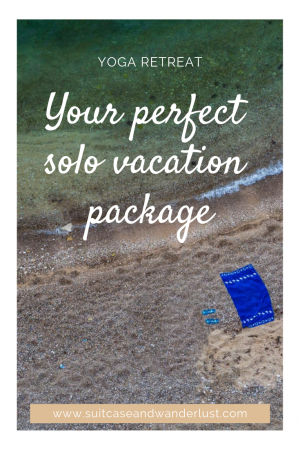 It is not only a treat for yourself but also the perfect solo vacation package. 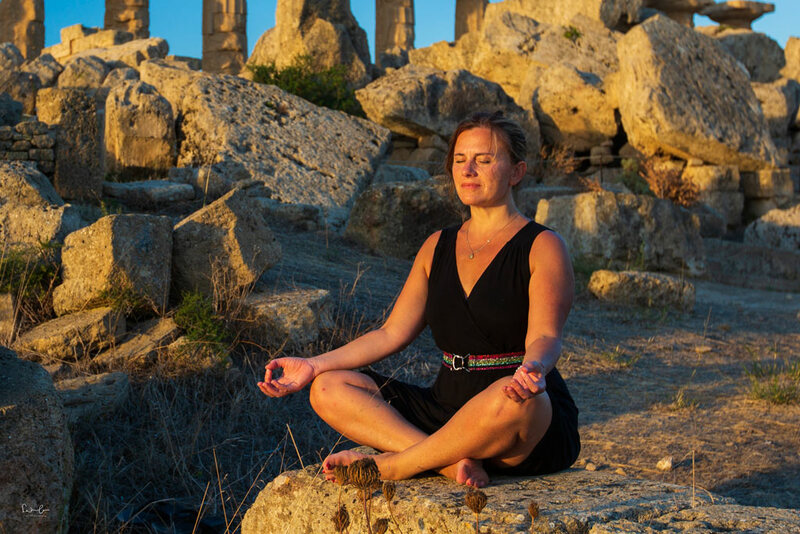 I had the great honor and pleasure to join Lisa’s yoga retreat in Sicily. To Lisa, Sicily seems like it was the beginning of Italy, just where everything started. 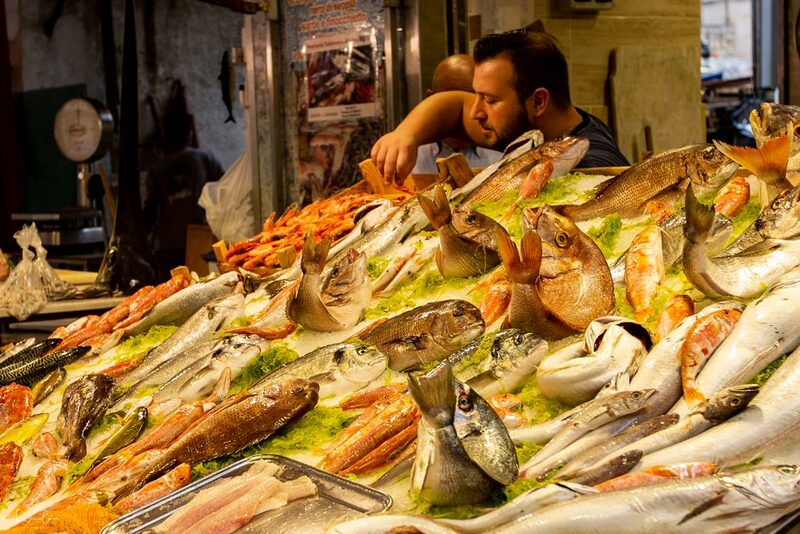 And Palermo offers just a great mix, It’s edgy, it’s not posh and elegant, but rather dirty. You can sip a fancy cocktail in the hippest bars in abandoned old factories and at the same time discover historical sites. We spent the first three days in Palermo where we discovered the city, its culture and food and then moved our yoga base into a villa at the sea in Marsala. We left the city behind us and enjoyed the seascape and its stunning sunsets with a glass of wine in our hands and a smile on our faces. Lisa is the perfect host. Being a BBC producer for many years she knows how and where to find the treasures of a place. She sets up a diverse program apt for everyone. It ranges from culture to fun activities while making sure everyone finds time for oneself to have a nap, read a book or go for a swim in the sea. Have a look on her website La Vita in Equilibrio and find your perfect retreat somewhere in Italy. She offers escapes to Tuscany, Sicily, Milan, Rome or the Island of Ponza. Lisa created “La Vita in Equilibrio” due to her love for yoga, travel and a life-long romance with Italy. It gives her the opportunity to share her personal restore and explore philosophy, as well as her love of Italian culture and cuisine. One of the main reasons why Lisa’s retreat is the perfect solo vacation package? When I met Lisa after my arrival in Palermo, we went for lunch and chatted about our lives and ourselves just like we’ve been friends for years. And the same happened when the whole group of participants met for the first time. The atmosphere between us was cordial and warm, the chatter cheerful, friendly and honest. Everyone feels welcomed and part of the group. Of course, it always depends on the people in the group if you feel comfortable, however, Lisa makes sure, everyone does. And the way she does it comes from her passion about what she’s doing and from her natural geniality. If you do not have a travel partner but don’t want to hit the road by yourself, this is your perfect well-being holiday. There is nothing you have to think and care about. Just follow Lisa and immerse yourself in a week of yoga, fun activities, culture and lots of laughter. Every day starts with a gentle yoga session. No matter if you’re new to yoga, advanced or a pro, the morning session is for everyone. The class is designed to emphasis on the breath and intelligent sequencing and I promise you to feel the relaxation of your body after a few minutes on the mat. Not only the yoga itself is a treat to your body and soul but also the locations Lisa chooses for the morning practice. 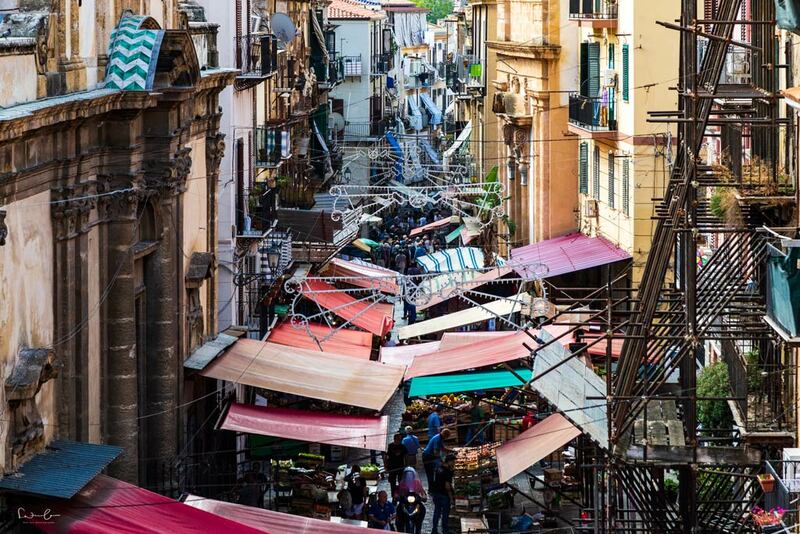 In Palermo, she found a rooftop terrace overlooking the market and while you focus on your breath, you hear the soft sounds of the market beneath, the marketer praising vongole and cozze. A perfect way to start the day. After the yoga session and a decent breakfast in the hotel, a variety of activities await the group. 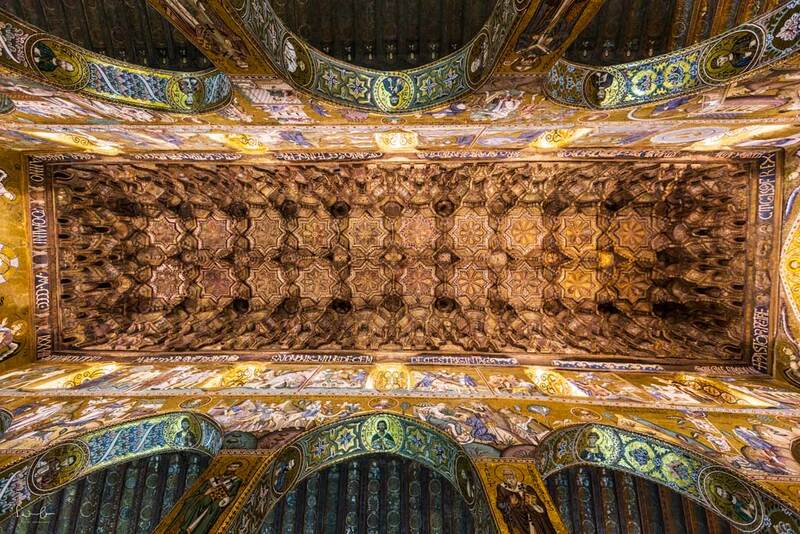 In Palermo, we started with a tour through the Royal Palace, also called the Norman Palace, a World Heritage Site with its impressive Palatine Chapel and the beautiful Maqueda Courtyard. 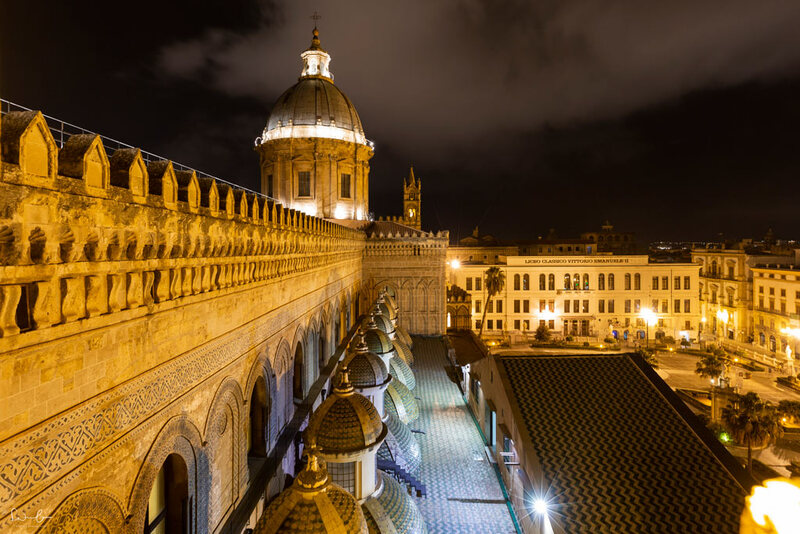 In the evening we visited the monumental Cathedral and walked up to the roof to have a marvelous view of Palermo at night. Culture? Check. 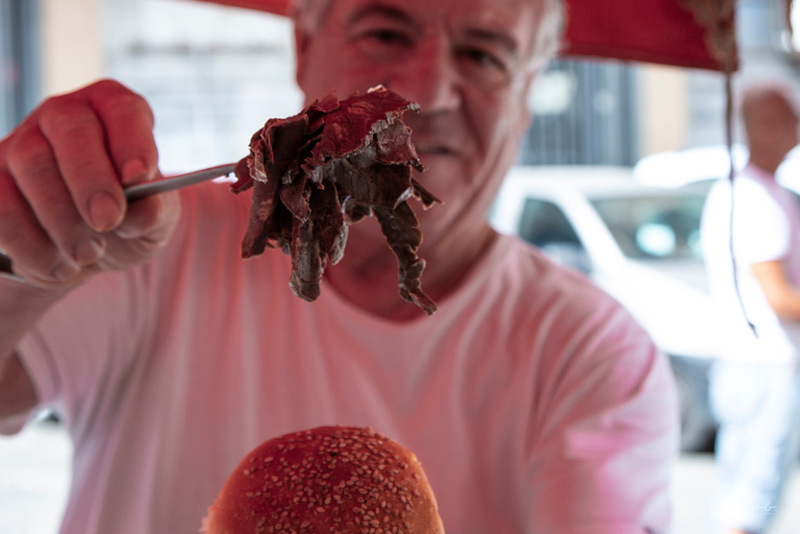 One morning, Lisa booked a food tour for us where we could try the typical Sicilian food, which is influenced by so many cultures. Have you ever heard of Spleen Sandwich? If you’re into cow innards then this is your call. 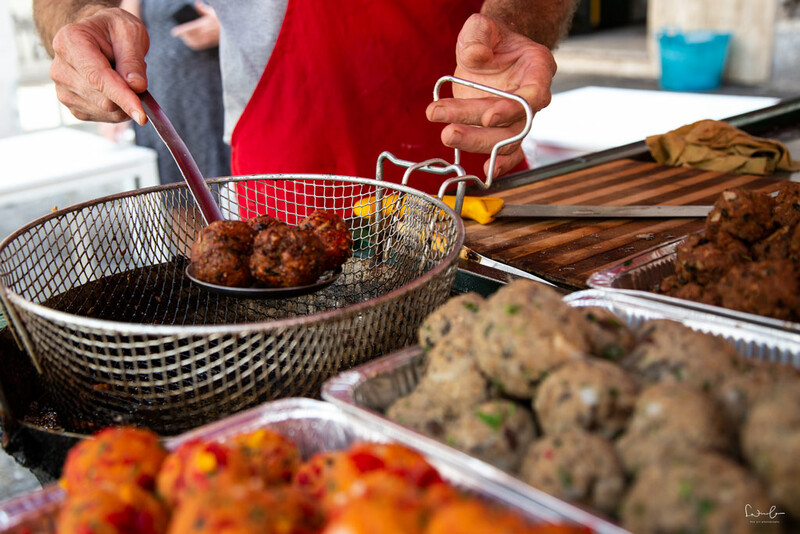 Other Sicilian specialities are fried pepper balls and Arancina. 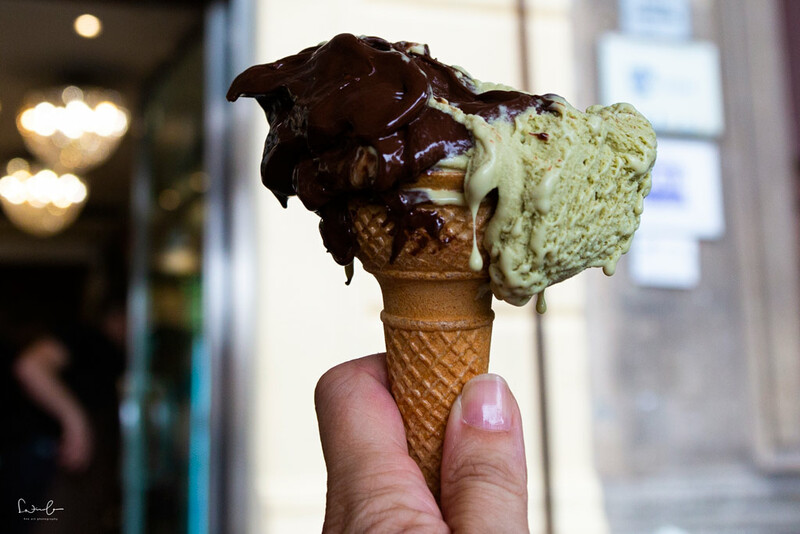 Oh, and don’t forget to have a gelato at least once a day. Speaking of food. We experienced a true feast for our senses. Lisa has chosen different restaurants within walking distance of our hotel and she has chosen them very thoughtful and well and one thing is for sure: food and jovial dinners with the group played a major role during this well-being week with Lisa. She even managed to plan a surprise for us: A wonderful concert of 100 Cellos. Have you ever heard “Another Brick in the Wall” played by 100 classical instruments? Click on the video and listen yourself. It was simply amazing and one of the highlights of the whole week. After three days Palermo we left the city and moved into a villa in Marsala. Located at the sea, it was our base for our upcoming days full of sunshine, sea views, sunsets, food and, of course, yoga. We started our slow-down days with gentle sessions in the morning followed by a swim in the sea, which was just across the road of our villa. 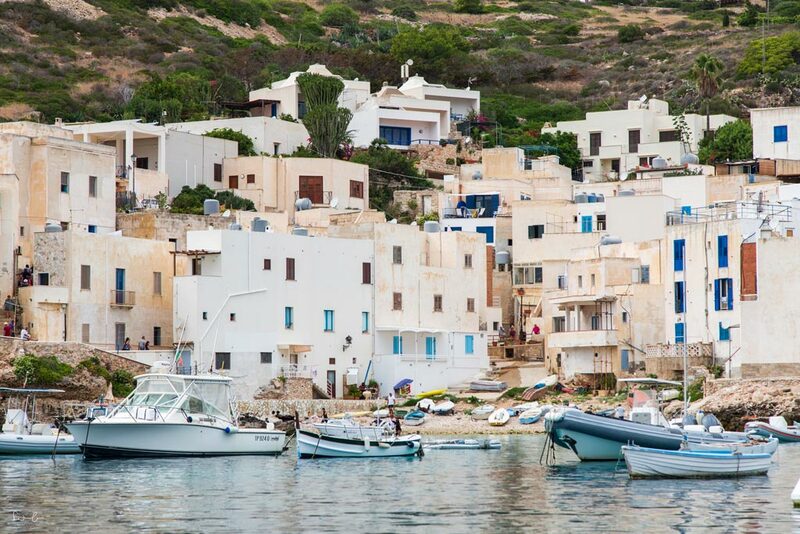 We went on a private boat tour to the islands of Favignana and Levanzo with our skipper preparing lunch on the boat while we strolled through the village. 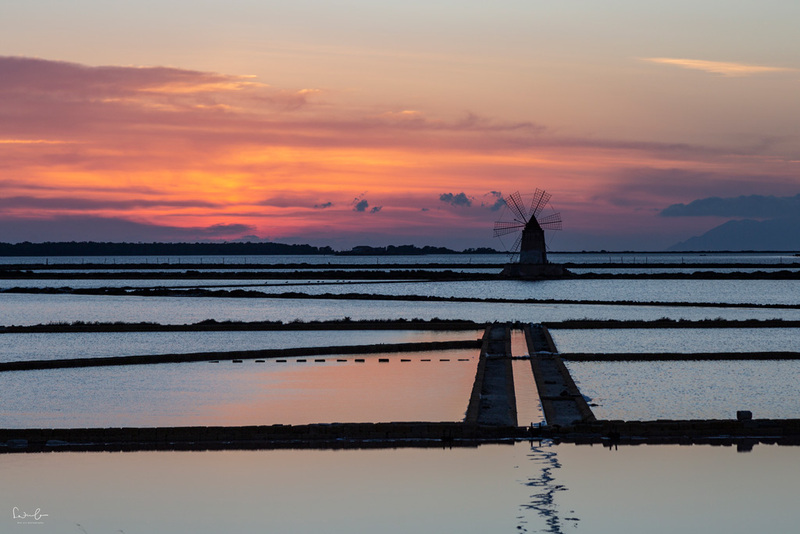 A jump into the turquoise water of the Tyrrhenian Sea and a lesson in how to yoga pose on the boat completed the cruise before we headed to our dinner location by the salt pans in Marsala where we were blessed with a fantastic sunset. Writing and thinking about it makes me want to pack this very second and go back. I celebrated my birthday this week of the yoga retreat and although I haven’t known all of those people before, they made my day a very special one. On our last day, we explored the ancient Greek city of Selinunte. The archeological site with five temples right next to the sea is particularly beautiful in the golden afternoon sun before the sun sets. What is included in Lisa's escapes? Literally everything except your flight. Lisa takes care about the hotel, all meals – a lá carte, by the way – and all excursions. 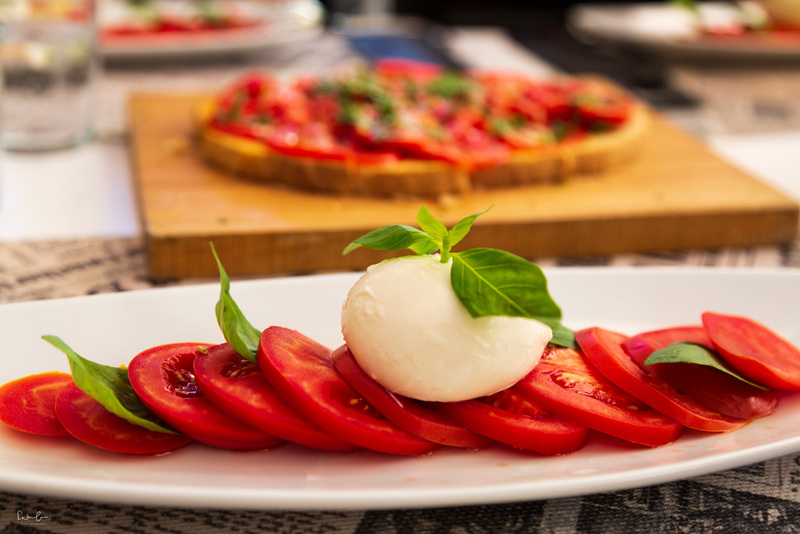 You don’t have to care or worry about anything, except the tons of bread you might eat when in Italy ;-). Isn’t it great? It is a solo travel but still it isn’t. 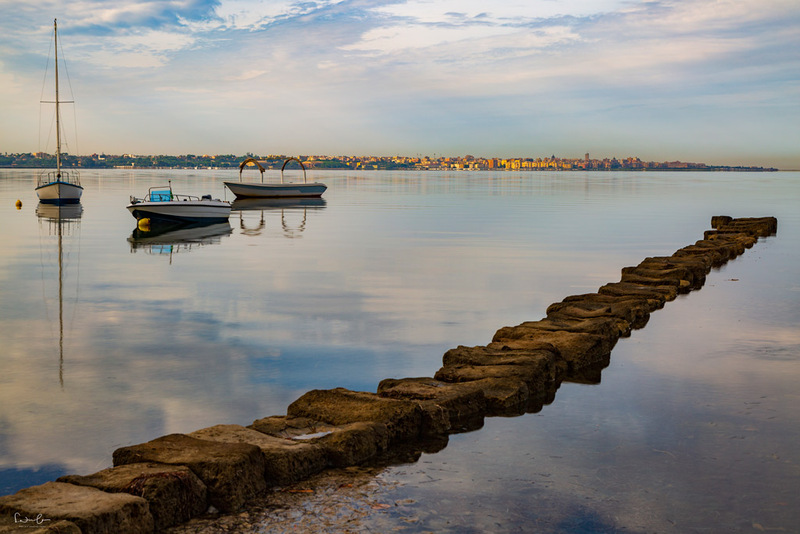 The program during the week is packed with different activities and yet you always find time for yourself to relax. 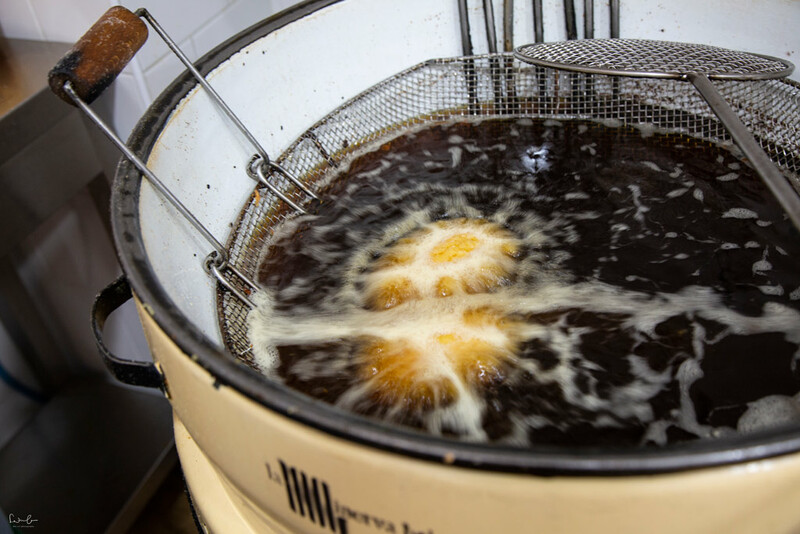 Of course, you’re free to skip one of the things Lisa has prepared but I promise, you will not want to miss a single one. One of Lisa’s participants once said about her yoga retreats: „It’s like dipping your toe into the pool of spirituality whilst enjoying a glass of wine“. I cannot agree more. Thank you for this wonderful week. 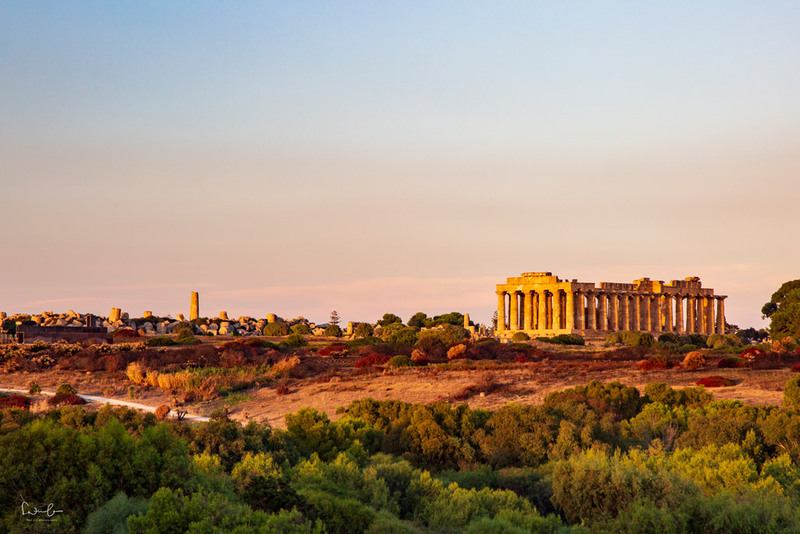 Disclaimer: I was invited to join La Vita in Equilibrio’s yoga retreat in Sicily by operator Soul Seed Travel. However, all my thoughts about Lisa’s approach and the package are my own. For me, I think the food tour would be the highlight. I’m not big on organ meats, but I might try the spleen sandwich simply to say I did. I’ve eaten octopus eyes in Korea, so I may as well add a spleen sandwich from Sicily! Great post. Oh wow, you’re so courageous about trying the food. I’m not, really… Thank you for your visit and comment, Nancie. This is such a beautiful post. I feel like flying to Sicily right now! Love your pictures, too. How much would it cost to take this package? In need of a recharge and this looks like something right up my alley!!! Rooftop yoga sessions and a food tour? That’s honestly what my self-care regimen looks like anyways! Hallo, sehr gute Fotos, gratuliere. Aber mich würden deine Leistungen und Preise für diverse Fotosafaris interessieren. Toskana Griechenland Barcelona…. Hallo Walter, vielen Dank für deine Nachricht. Ich biete 2019 Fotoreisen nach Ecuador&Galapagos, Venedig, in den Norden Irlands, auf die Azoren, nach Budapest, in die Toskana, nach Südtirol und nach Myanmar an. Bis auf die Myanmar Reise sind alle Details auf meiner Homepage unter diesem Link zu finden: https://www.suitcaseandwanderlust.com/de/fotoreisen/. Ist da etwas für dich dabei?